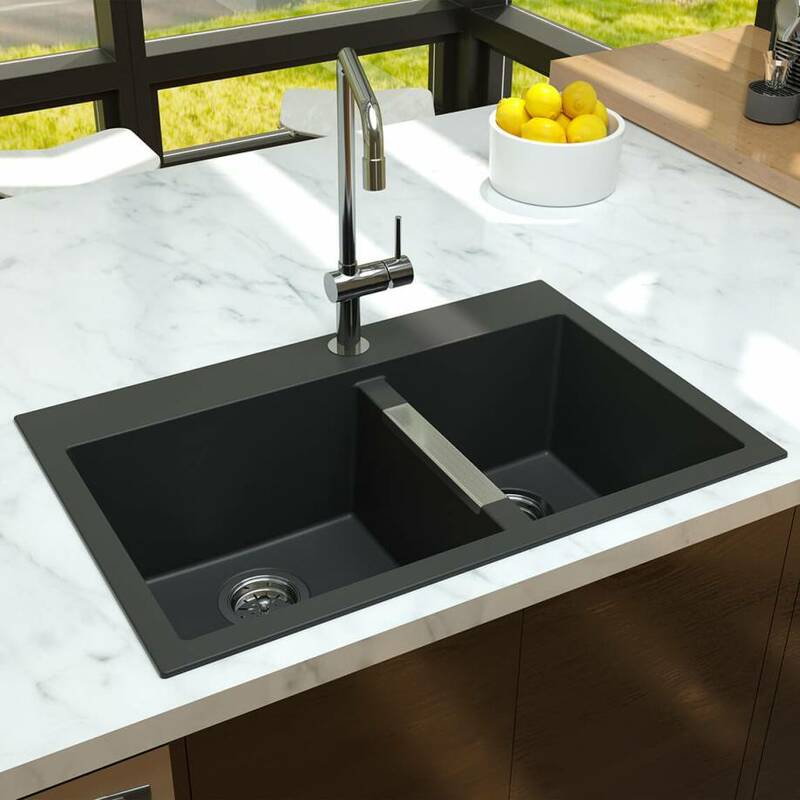 Enhance the design of your kitchen thanks to the black colour of this model, which goes with everything. 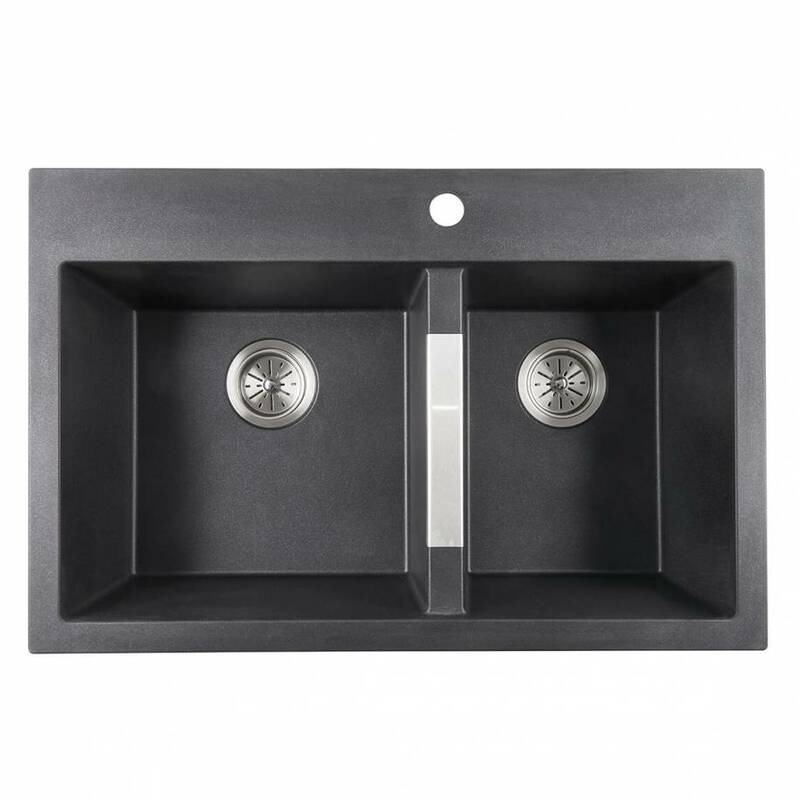 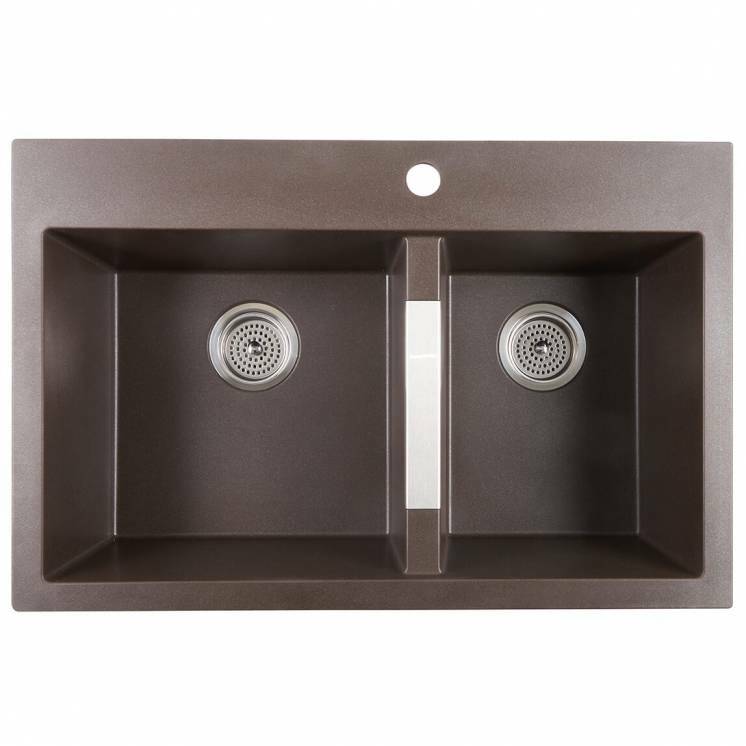 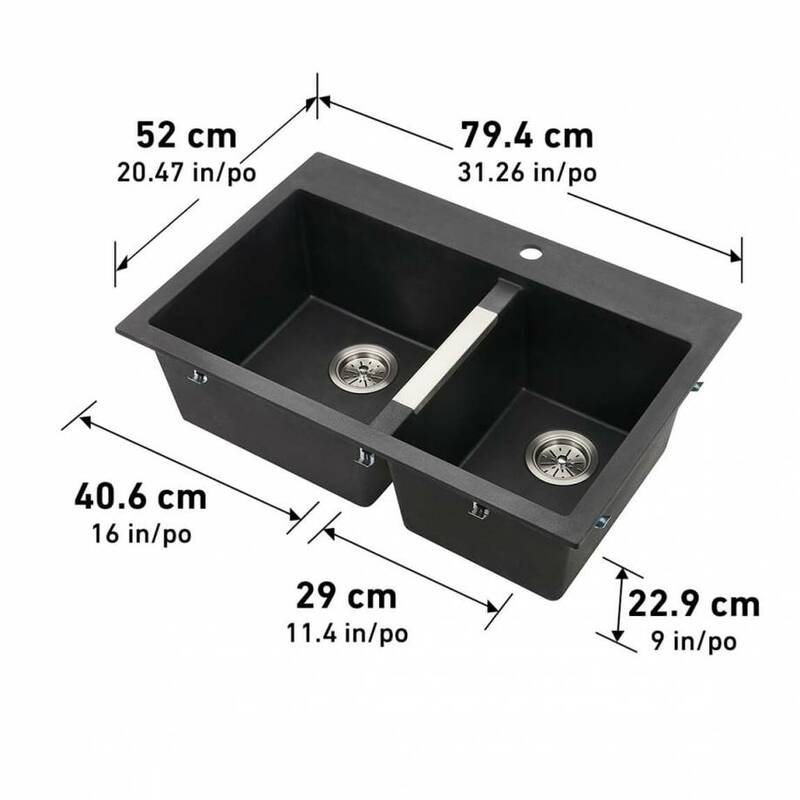 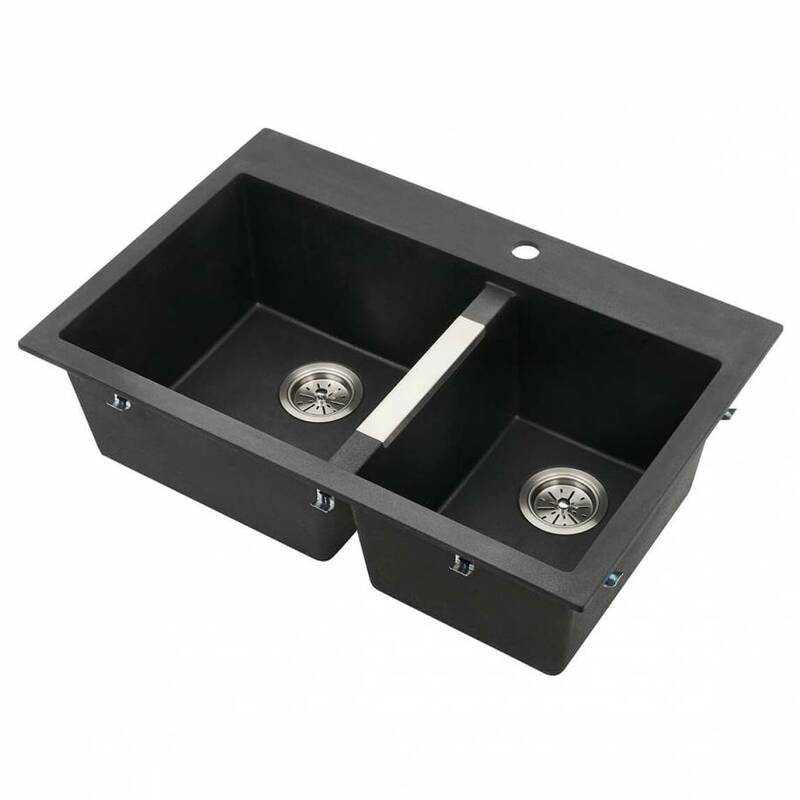 This double sink is fabricated in granite composite, which makes it extremely durable. 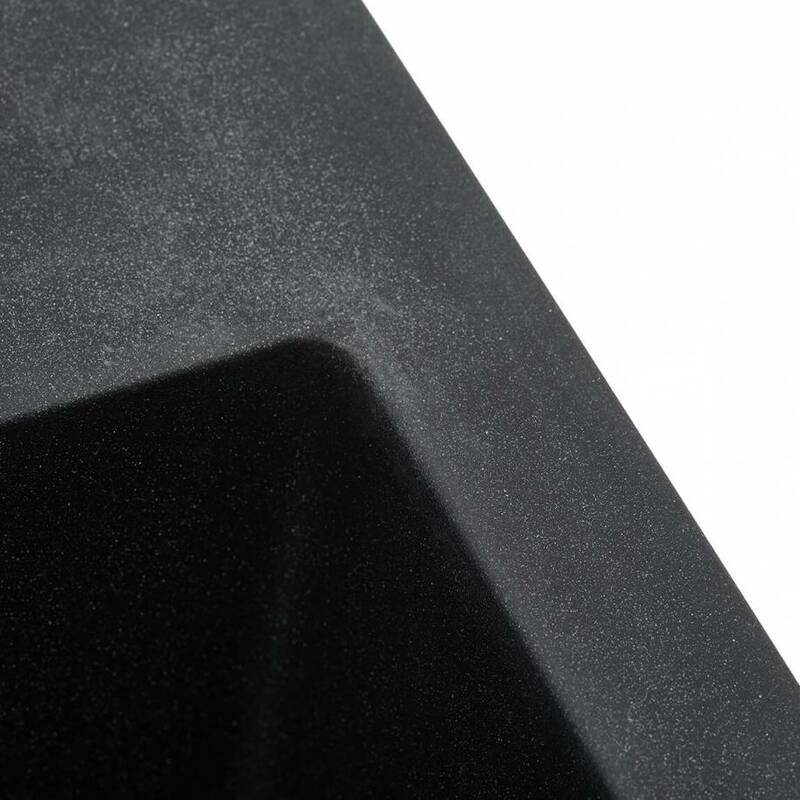 Also, its non-absorbant surface makes it a very hygenic choice. 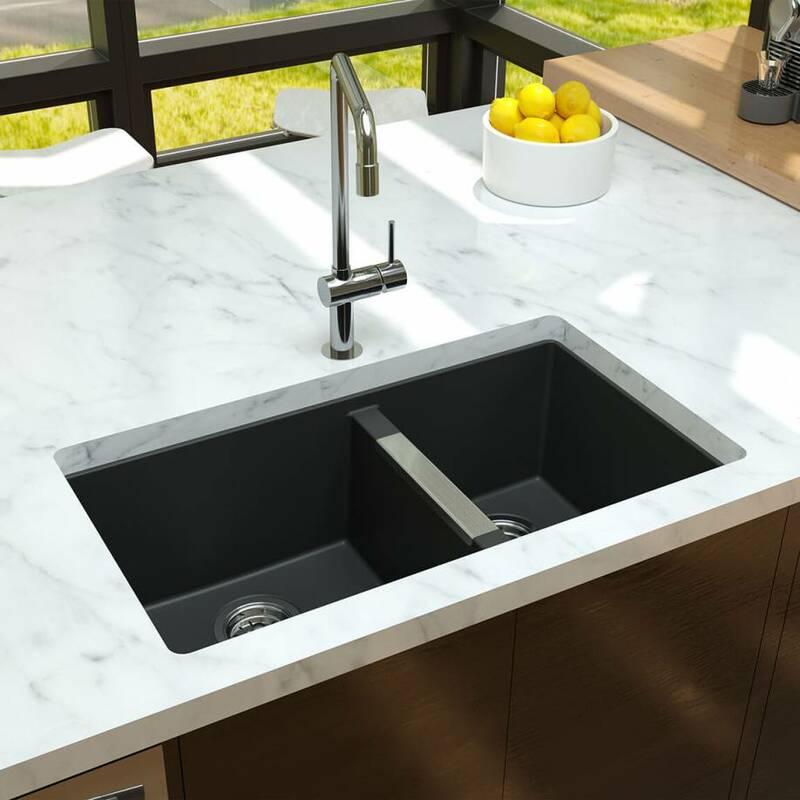 It is also extremely resistant to scratches, stains and the heat from your pots and pans. 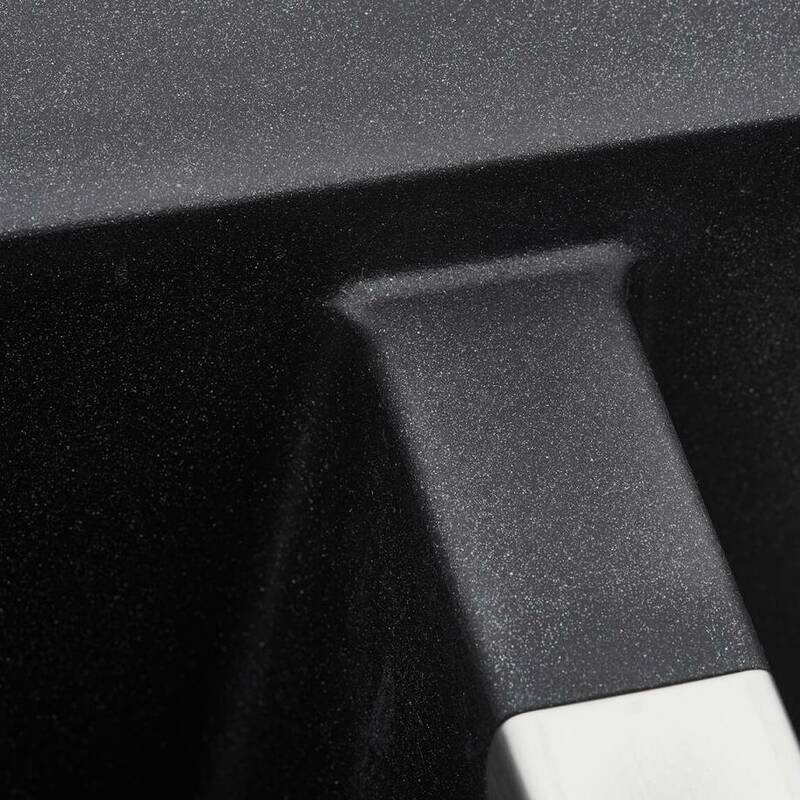 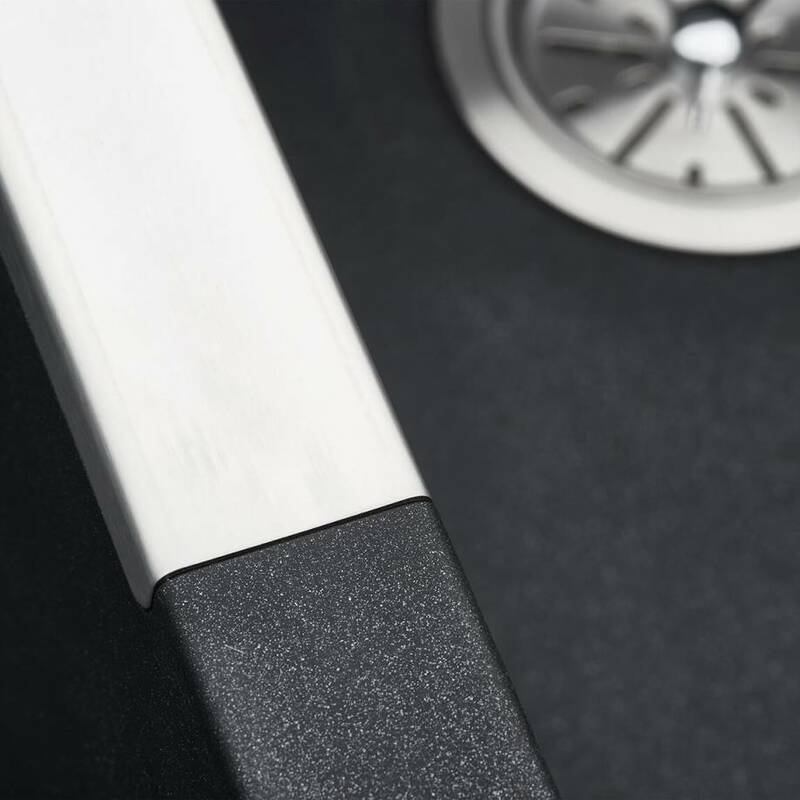 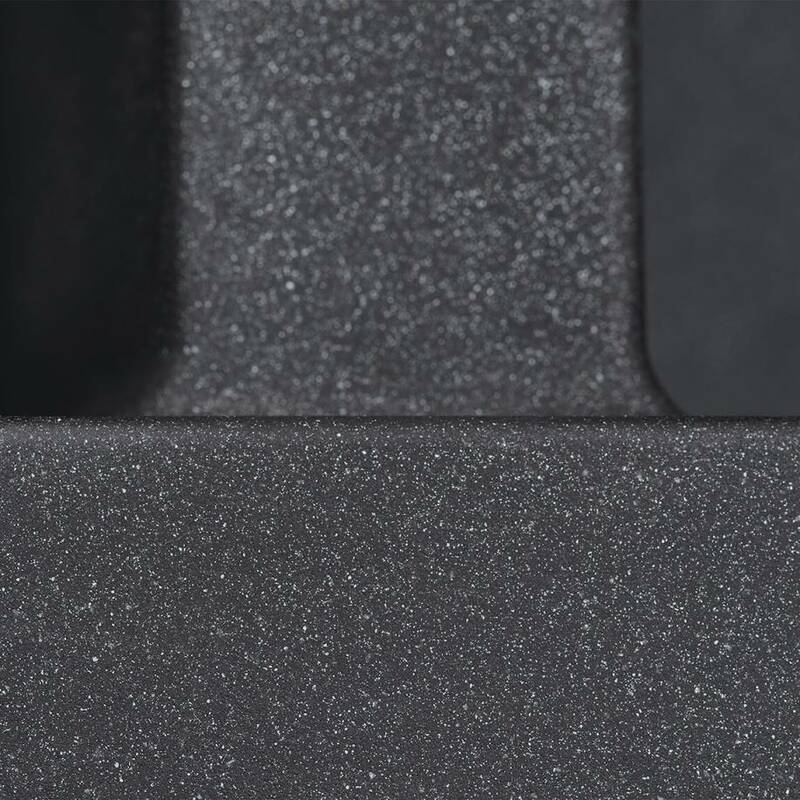 This sink, which is made from 80% natural granite, has a matte finish that does not change colour, helping to keep it beautiful for a very long time. 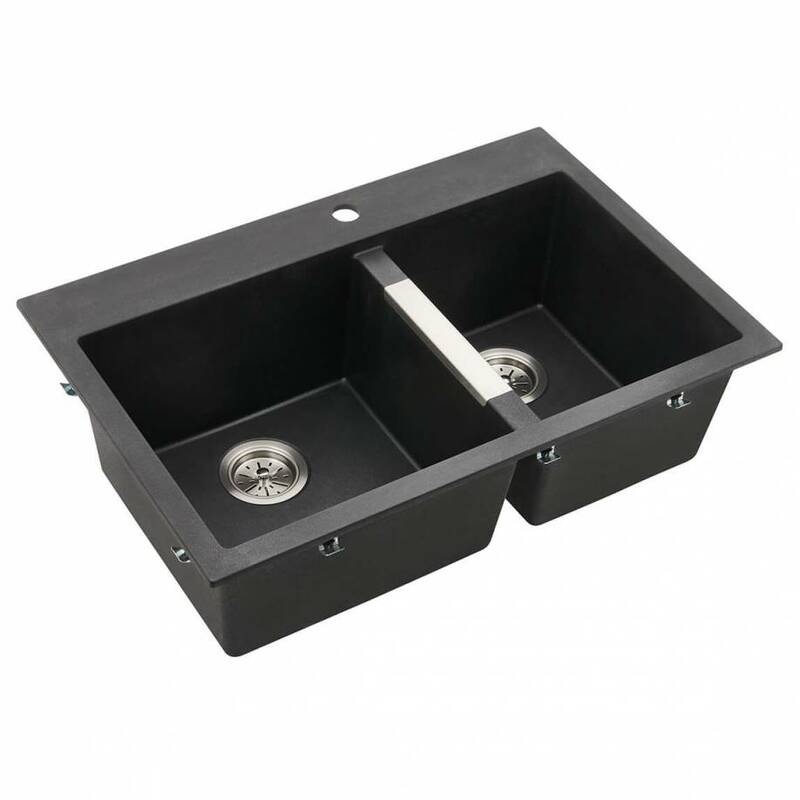 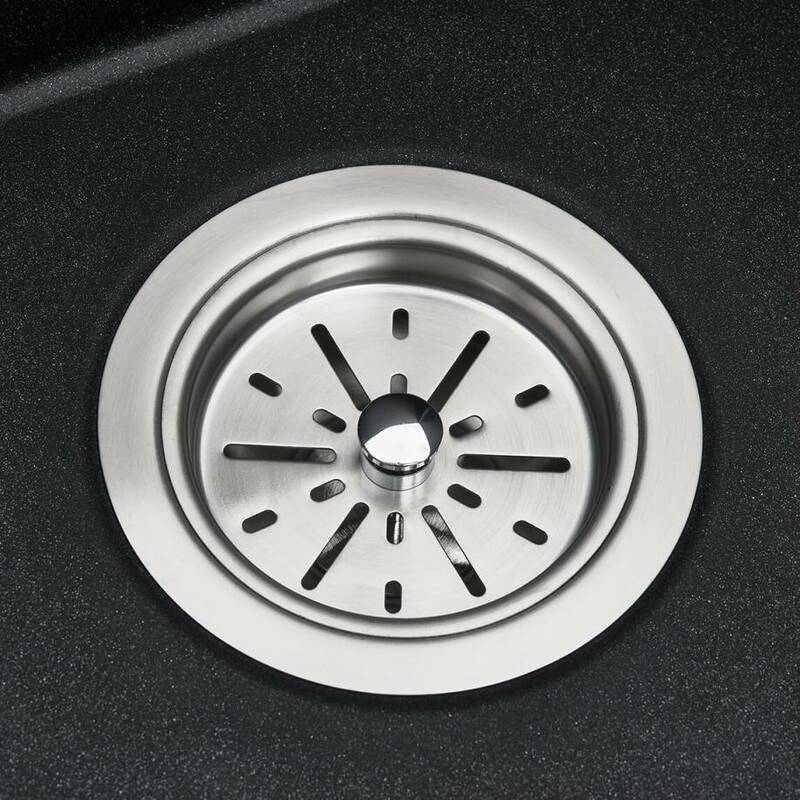 It also has a stainless steel plate in between the two bowls to add a touch of shine and durability to your kitchen. 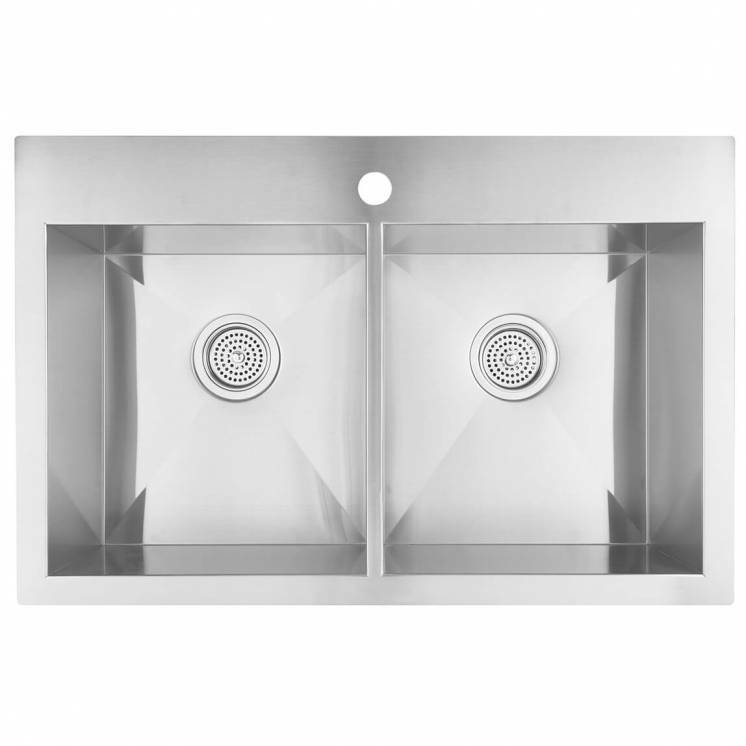 Make it part of your decor to take advantage of its timeless look. It will certainly look great next to a granite countertop.